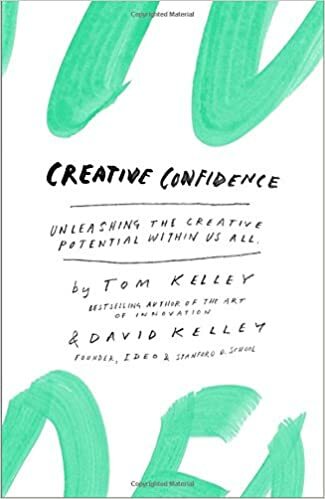 Starting my MVIFI Summer + Learning today with Tom Kelley and David Kelley’s Creative Confidence: Unleashing the Creative Potential with Us All. Today I will start with questions, following a strategy I’ve taught students to use when tackling an unfamiliar text. Asking questions prior to starting a text leads to greater comprehension while also providing students with their own inquiry into a text. Starting with questions is also a norm at Mount Vernon Presbyterian School. What follows here is my brainstorm of initial questions I have prior to diving into the reading. What does it mean to have creative confidence? Is this a belief in your ability to make something worthwhile, something aesthetically pleasing, something meaningful? I am participating in Enhancing your Professional Creativity workshop at SCAD later this month, and I am wondering how this text will connect with the work I’ll do in Savannah. Charlie Rose is quoted on the dust jacket, praising the authors for sharing their secrets about “find[ing] out creative power.” I wonder if the authors are concerned that Rose has lost his credibility as a journalist. I wonder if this quote will appear on dust jackets printed for later editions. I wonder what type of work I’ll need to do while reading. Brené Brown mentions being inspired by the “real-life exercises” in the text. A creative way of thinking, creative mindset, asks us to empathize with users while innovating and to tell compelling stories about our innovations. My own inability to get out of my head when I am writing stymies my storytelling; I find myself clicking tabs on my browser instead of writing. Will I learn how to get out of my head and turn off the internal censor?